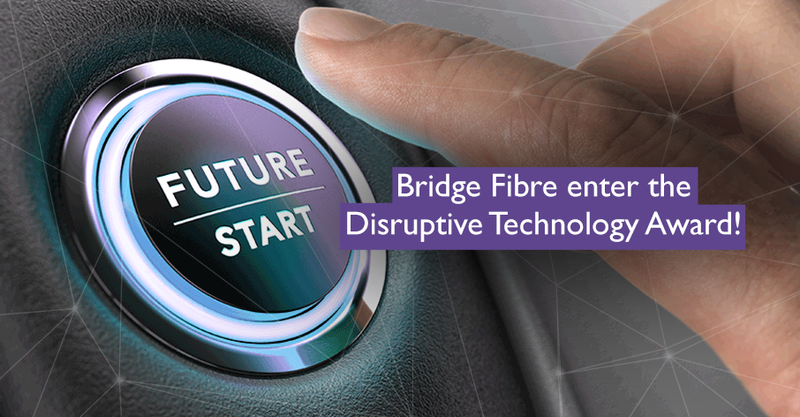 Bridge Fibre has recently achieved significant objectives, growing our geographical reach as well as technological capabilities, enabling our clients who also provide cutting-edge services and develop innovative technologies to flourish – thus our reason for entering the Disruptive Technology category of the Business Weekly Awards. “We aim to fulfil the market demand delivering high-quality and reliable products with world-class support. This enables our clients to spend less time worrying about their internet services and more time to focus on continuing to deliver new technologies, which in some cases are even life changing! Last summer we announced a new partnership with the Prime Fibre network and Grosvenor Estate to deliver ultra-fast full-fibre internet to the commercial and business tenants on the Grosvenor London Estate fibre network. We have also started to provide new handset technology for our clients through an alliance with Sennheiser – the German world-leading manufacturer of premium headset and conferencing solutions. Our service team is coping very well with the busy work. The new partnerships with Prime Fibre and the alliance with Sennheiser have just opened up a long list of successful achievements yet to come. The Prime Fibre network project has been developed thanks to the partnership between Grosvenor and Ventura Next, and it aims to embroil the entire network ecosystem. According to this vision, residents, visitors and businesses will benefit from their new ultrafast broadband connections, across almost three-quarters of the Grosvenor London Estate this year. Being a company that aims to complete projects, deliver reliable products and provide high-level support to new and existing clients, we were happy to get involved in such a big project. Prime Fibre has connected the Mayfair and Belgravia areas to its fibre circuit. As one of its approved business internet providers, Bridge Fibre will be supplying its connectivity products helping tenants to upgrade their internet and access speeds from 30 Mbps to 1,000 Mbps and beyond. So far, Belgravia and Mayfair are enjoying “the fastest and highest quality internet in the UK” with our latest technology and unrivalled 24/7 support team. Our technology has enabled some of the world’s leading biomedical, pharma, research and technology companies to run their day-to-day operations with all their internet-based needs catered for. Last month the company has also stood out from the crowd and moved forward in terms of product innovation, announcing its new partnership with Sennheiser – one of the world’s leading manufacturers of wireless transmission systems, microphones and headsets. The aim is to offer new high-quality and reliable wireless headsets as well as conferencing solutions to new and existing customers; these products will be offered for use with PCs, laptops and existing phones. Another good strategic move for the company, which is proud to offer a range of wired, wireless headsets and conferencing solutions with the seal of approval from Sennheiser.